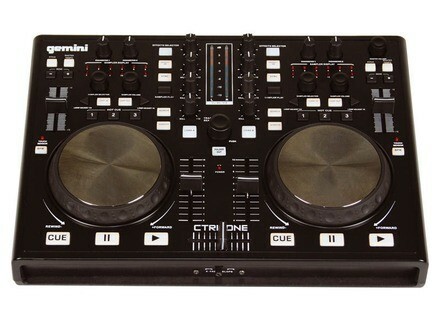 CTRL-One, MIDI Control Surface for DJ from Gemini DJ. The Gemini Ctrl-ONE features 2 individual mixing channels with 2 large touch-sensitive jog wheels for scratching, cueing, and other assignable parameters. It is switchable between USB bus-power or a DC adapter, giving DJs control over their power option. 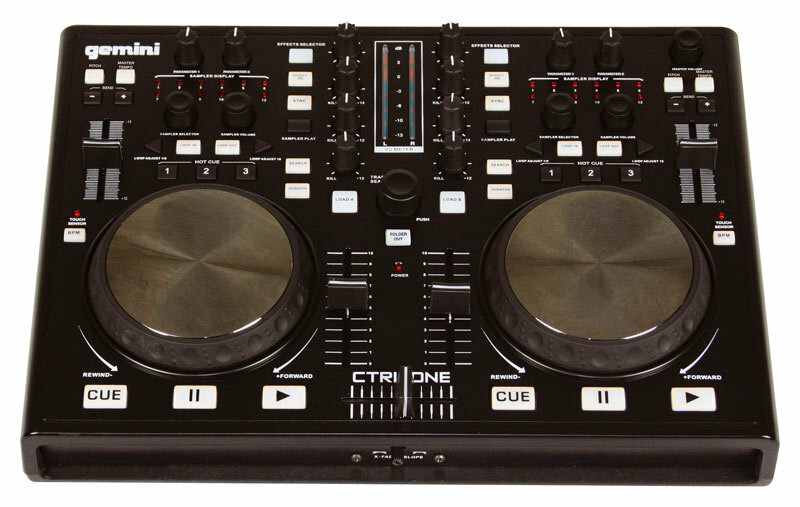 All-in-all, the CTRL-ONE is described as "both easy-to-use for a beginner, as well as powerful and customizable for the seasoned digital DJ." A version of the VirtualDJ software is included with the unit. The VirtualDJ audio-video mixing software features the an automatic loop engine and synchronized sampler. The visual representation and the cues are designed to allow a DJ to clearly see the song structure, and never be surprised by a break. Visit www.geminidj.com for more details on this product. DJ-Tech uSolo FX The uSolo FX is a Media Player unit designed to play MP3 and WAV files from USB flash drives, hard drives up to 250GB, and SDHC cards via the on-board USB and SD inputs. DJ-Tech U2 Station MKII U2 Stationis a portable DJ media player for DJs to search, cue, play, pitch, mix and even scratch digital music files (MP3) directly from their USB storage device … and add Effects as well: Flanger, Filter, Echo and Brake. Omnitronic TMC-1 & TMC-2 With the new TMC-1 and TMC-2, Omnitronic introduces two USB MIDI controllers which are supplied with the software Virtual DJ LE by Atomix Productions.